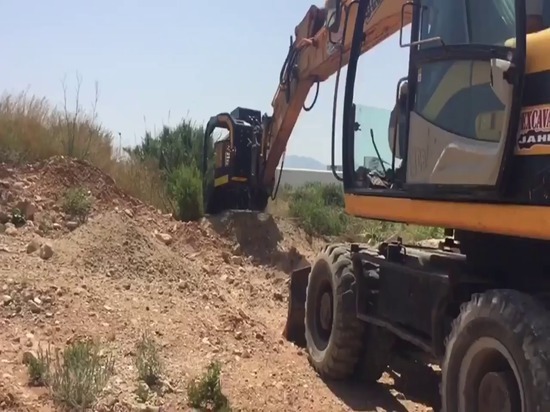 Oliva, a small town in the south of Valencia, Spain, is using a screener mounted on a JCB excavator to remove waste, litter and debris from beach sand which is then recycled on site for the redevelopment of a the park. The area includes almost 9 km of beaches formed of fine sand and part of the territory is included in the natural park of the Marjal de Pego-Oliva, a leisure area frequented by tourists. 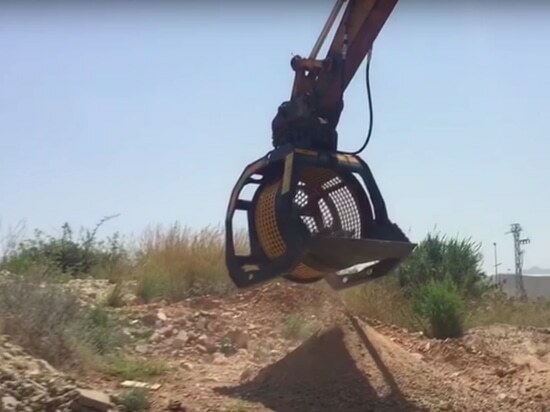 The MB-S14 S3 screener’s manufacturer, MB S.p.A. said that it is suitable for excavators between 9 to 20 tonnes and is specially designed for medium sized environments where applications require high level performance. It is said to be ideal for use before or after crushing, screening bucket will reduce crushing time up to 60% It also allows the screening of natural material (quarry residues, dry soil, and river stone) of any kind, making it convenient for onsite processing. Every year between 8 and 12 million tonnes of waste is swept out to sea, especially plastic. Practically a full truck of garbage per minute. The waste in the oceans travels a long way and then washes up on coastlines. Over time it does not biodegrade and harms wildlife and ecosystems. 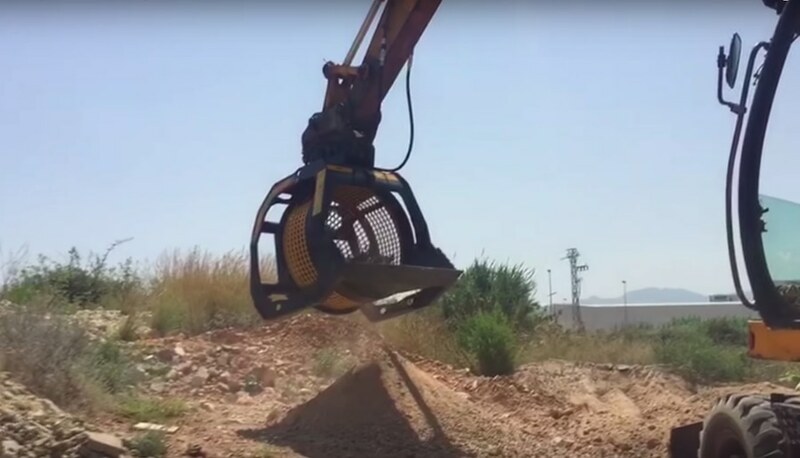 In Oliva, every spring the sandy coastline is cleaned and the waste left by tourists, or washed in by the currents, is removed by a company that specialises in coastal maintenance using the MB-S14 screening bucket. Only the unrecyclable waste is taken to landfill.